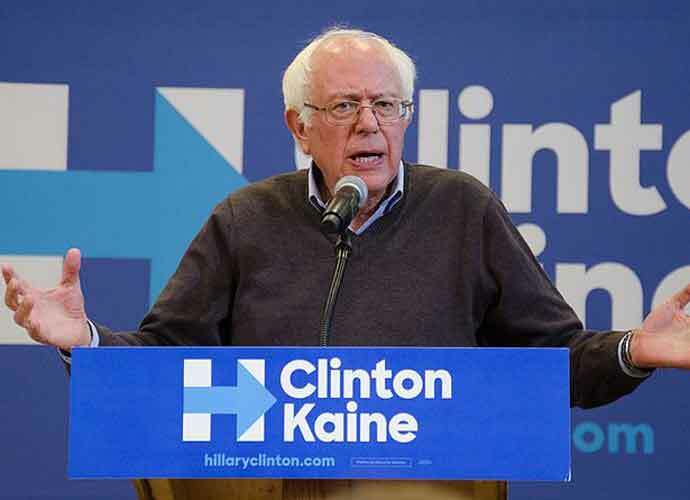 On Wednesday, the fundraising totals for each 2020 Democratic presidential candidate were revealed, and Sen. Bernie Sanders (I-Vt.) topped the list with $18.2 million. Sanders, who lost his first bid for the Democratic nomination for president to Hillary Clinton in 2016, appears to have gained even stronger support this time around. The 77-year-old progressive Senator has mostly received small donations from individual voters rather than large contributions from corporations or political action committees (PACs). Sanders has pushed for Medicare-for-All, free or affordable college and higher minimum wages, among other things, as part of his 2020 campaign. Update (April 15): Sen. Kirsten Gillibrand (D-N.Y.) raised $3 million for her 2020 presidential campaign in the first quarter of 2019, her campaign announced Sunday, April 14. That puts the 52-year-old near the bottom of the list of 2020 Democratic contenders in terms of fundraising, as Sen. Elizabeth Warren (D-Mass. ), who raised more than $6 million in the first quarter of the year, while Sens. Amy Klobuchar (D-Minn.) and Cory Booker (D-N.J.) each raked in approximately $5 million. Washington Gov. Jay Inslee (D) also raised $2.25 million since officially joining the race on March 1, while Barack Obama‘s former Housing Secretary Julian Castro has raised $1.1 million in three months. 1 million volunteers signed up. Harris raised $12 million in the first quarter of 2019. The 54-year-old former California prosecutor and attorney general said she received contributions from more than 218,000 individuals. Like Sanders, she has focused on small-donor contributions, and boasted that 98 % of her donations were less than $100. No corporate PACs. No federal lobbyists. A real, grassroots campaign — by the people and for the people. O’Rourke has also received money from only small donors and not from PACs, corporations or lobbyists. You left us speechless on day one. Together, we raised $6.1 MILLION for Beto in the first 24 hours without taking a dime from lobbyists, PACs, or corporations. Other candidates have had more time to raise money, but we aren’t slowing down. Can you make a contribution now? Buttigieg, the 37-year-old mayor of South Bend, Indiana, is the youngest candidate in the 2020 presidential race thus far, and also the first openly gay presidential contender in American history. An Afghanistan war veteran who is also an intellectual — he speaks seven languages and is a prolific piano player — Buttigieg tweeted a video on Monday in which he said his team is “outperforming expectations at every turn.” In total, Buttigieg — known by many as “Mayor Pete” — received contributions from 158,550 donors. He has proposed abolishing the Electoral College and moving to a national popular vote for presidential elections, among other things. Yang, a 44-year-old businessman from New York, has stressed the threat of robotization and artificial intelligence to unemployment and the economy overall and proposed a universal basic income of $1,000 per month for all Americans to cover basic necessities as part of his campaign. Inslee said his 2020 campaign will largely focus on climate change, an issue that has proved increasingly contentious between Democrats and Republicans. Delaney, the first Democrat to announce a 2020 run for president, received less than $435,000 in outside contributions, the lowest amount out of all candidates in the race. President Donald Trump also recorded a whopping fundraising sum for his 2020-reelection campaign in the first quarter of 2019: $30 million, roughly the same amount as the top two Democrats combined.